Quickshot is a name that almost every vintage gaming fan will no doubt be aware of. Whether you had Quickshot peripherals, knew someone who did or are just getting into collecting and find them almost everywhere, Quickshot still seems to be a third party brand from the old days that you just can’t escape. 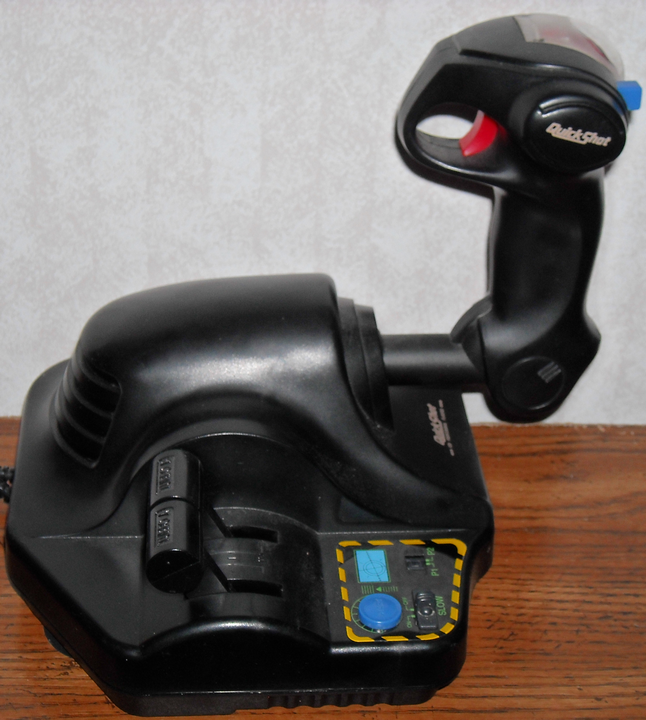 Quickshot is perhaps best known for their plethora of joystick based peripherals, but today I will be taking a look at the QS-150 (aka Intruder 3), which is essentially a flight stick for the Sega Genesis. The Quickshot QS-150 is massive in size and unless you have a table, or some other surface, readily available this beast isn’t very comfortable to use. 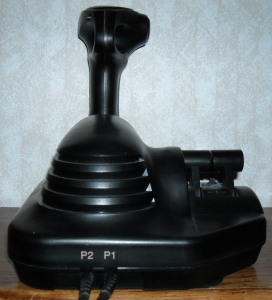 Not to say that its impossible, but its large and the flight stick takes slightly more torque than Quickshot’s other joysticks to get it to work, making the suction cups on the bottom a real necessity. Once you have the Intruder 3 set firmly on a surface and ready to play, though, you’re in for a thoroughly enjoyable experience. The Quickshot Intruder 3 is obviously geared toward flying games, so while testing it for this review I decided to stick with that theme, for the most part. First up was F-22 Interceptor; the Intruder 3 did well, but where it really helped was the immersion factor. I felt as if it were more of an arcade experience as opposed to some dork sitting in his room testing a controller for an online review. Next I gave Desert Strike a whirl, but since the Strike series has always seemed to have a bit of a counter-intuitive control scheme the Intruder 3 didn’t seem to make things any better, although again it did push along the immersion. Being a massive fan of the NES Advantage I’ve always felt Quickshot’s Maverick series of controllers borrowed heavily from that, so I always enjoyed the Quickshot Maverick joysticks. The Intruder 3, however, seems to borrow slightly from them both but adds a few details to push immersion along even further; most notably the use of a realistic flight stick. 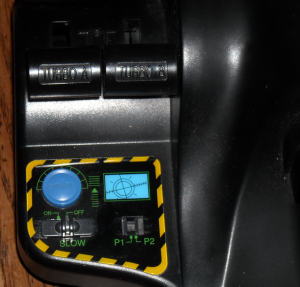 The action buttons are located on the flight stick where we would imagine the fire buttons on a real jet fighter would be located, even offering a cover to make the player feel as if the B and C buttons are important. 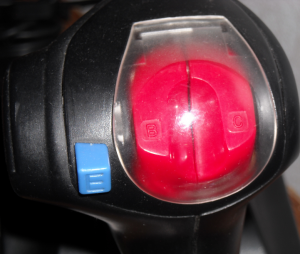 However the C button is left out when it comes to the turbo levers, which offer a few different levels of turbo, why they left C out is beyond me. In keeping with stealing ideas from the NES Advantage, the QS-150 offers both a slow motion and quick switch from Player 1 to Player 2, on the main panel. 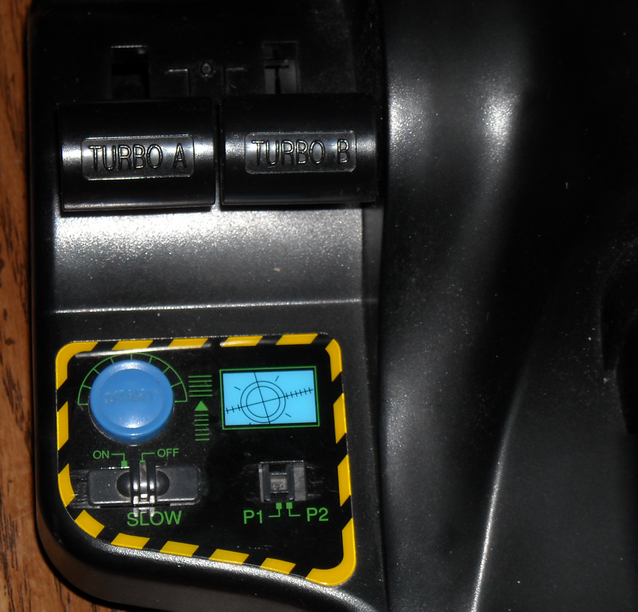 Another great feature is the super easy to figure out plug system, as they’re completely separated as well as clearly labeled on the front of the controller, absolutely no confusion, unless you’re completely mindless. My only real gripe with the Intruder 3 is its size. I mainly keep it in a huge box, hidden under other controllers, because I don’t always feel like lugging it out and utilizing it when its so much easier to grab a 3 or 6 button controller and do the exact same thing. Although I do feel that we shouldn’t hold my laziness against the Intruder 3, because it does its job and does it well. how does this joystick work? does it need to be pushed in/out or tilted forward/backward. Pull back as well as left and right. There isn’t forward travel, sadly. I apologize! I was wrong. There is forward travel, it has been a while since I’ve used the controller. But indeed there is slight forward travel.